I received a copy of this book from the author in exchange for an honest review, Thank you Jordan! I really appreciate it! 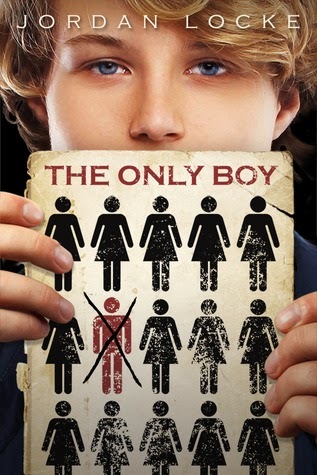 :)This books had a very different vibe from most of the dystopian novels that I have read, in this world they believe that there are no boys, that they all died out with a disease. I found that really intriguing and unique. I think that some of the story was a bit fast paced and I liked how even though they had these feelings about each other the book wasn't all about the romance, it was just a little part of it. I quite enjoyed this and I thought that the world building was really good because I could imagine it all quite clearly in my head. I was really surprised to find out the matriarch's secret and it made me wonder if that was the reason for being so cold hearted. I have never read anything like this and I am so glad to have had the opportunity to read this. I loved that the story was told in both perspectives of Mary and Taylor, I think that it worked really well. I also really like the cover, and I just found out that Jordan Locke designed it herself, how cool! Overall: I recommend this to anyone who loves the YA Dystopian genre and is looking for something a bit different to your normal Dystopian. Hi Jordan, I've nominated you for a Liebster award :) You can check out and find the info on my post. Thanks I will definitely make a post someone this week :) hope your week is going well!